By the skin of our teeth, luckily, mirabile dictu, Florida prevailed on a procedural issue, allowing the Attorney General to continue our State's decades-long efforts to protect our rivers from Georgia water hogs. Lucky day. The Supreme Court held this morning that its Special Master erred by failing to consider remedies. Justice Stephen Breyer wrote for the 5-4 Supreme Court majority for himself and Chief Justice Roberts and Justices Kennedy, Ginsburg and Sotomayor. Dissenting were Justices Thomas, Kagan, Gorsuch and Alito. 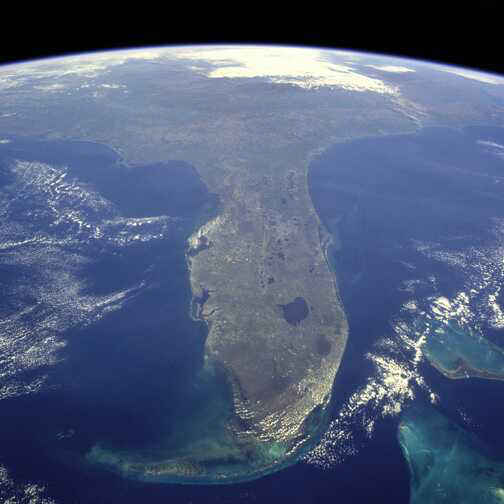 This water rights litigation has taken tens of millions of dollars, doled out to private law firms hired by Florida Attorney General PAMELA JO BONDI. 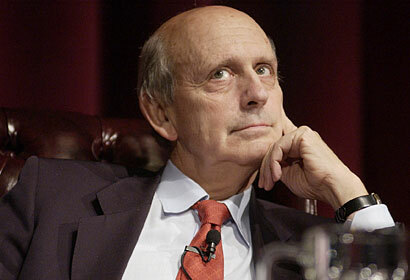 Footnote: Justice Stephen Breyer is a 1994 Bill Clinton appointee, a wit, a scholar, an administrative law expert, former chief counsel to the Judiciary6 Committee chaired by Sen. Ted Kennedy (my first boss), former Chief Judge of the United States Court of Appeals in Boston, a longtime member of the Administrative Conference of the United States, and friend of my mentor, former U.S. Department of Labor Administrative Law Judge Nahum Litt. I shall always remember the private talk between Chief Judge Nahum Litt and then Appeals Court Chief Judge Stephen Breyer at a 1992 ACUS meeting. This was three years before Congress heeded our concerns, which I first expressed in a 1989 Common Cause Magazine article, "Business As Usual." (corrected -- 1994, not 1995). We, the People. won. Again. Congress rightly abolished ACUS for some fifteen years, 1995-2010. Under President Reagan, ACUS was converted into an abominable basket of deplorables, a bunch of bullies, corporate lawyers and government lawyers allied against the public interest. A cheerleader for "alternative dispute resolution," including inflicting mandatory arbitration on unsuspecting workers and consumers, violating Seventh Amendment rights to jury trial. In 1989, when I became Legal Counsel for Constitutional Rights of the Government Accountability Project, then ACUS Research Director Jeffrey Lubbers (now an American University Law Professor), emotionally described me to GAP General Counsel, retired Judge Joseph B. Kennedy, as being "LITT's HITMAN." In 1995, after Congress took its money away -- "zeroed it out" over protests of two Supreme Court Justices -- ACUS had a giveaway of surplus books as it dissolved. I stopped by ACUS's office on L Street in Washington, D.C. while Brian waited in the car, stocking up on paperback administrative law materials from the once-formidable agency. Great souvenirs of a battle won. As U.S. Rep. John Dingell once said, "if I write the procedure and you write the law, I will win every time." Florida's procedural rights were violated by the Special Master, who applied a too-narrow standard on remedy. In the Florida v. Georgia case, Justice Breyer's liberal procedural ruling promises justice for our Florida oystermen and protection of our Florida water. Thank God for Article III federal courts and judicial independence. Three cheers for Justice Stephen Breyer! Florida officials celebrated the decision even though it means that the expensive battle, which has cost the state’s taxpayers $57 million in the last four years, will continue. TALLAHASSEE — Florida’s governor is cheering and his Georgia counterpart is digging in for a fight after the U.S. Supreme Court allowed Florida to press its case in a decades-long battle between the two states over a river that serves them both. The justices’ 5-4 ruling Wednesday concerns a dispute over Georgia’s use of water from the Chattahoochee and Flint rivers that serve booming metro Atlanta, Georgia’s powerful agricultural industry and Florida’s oyster fisheries beyond the river’s mouth. The court said a special master appointed to hear the lawsuit should reconsider Florida’s argument that limiting how much water Georgia uses would provide more water downstream to the Apalachicola River that flows into Apalachicola Bay and the nearby Gulf of Mexico. Florida officials celebrated the decision even though it means that the expensive battle, which has cost the state’s taxpayers $57 million in the last four years, will continue forward. Georgia Gov. Nathan Deal, however, said he “remained confident” in his state’s legal position. The states’ battle over water use dates back to 1990, and includes drawn-out negotiations and several lawsuits. Alabama, which has the Chattahoochee on its eastern border, is not part of the current lawsuit that was first filed nearly five years ago. The special master the court appointed to hear the lawsuit had recommended that the court side with Georgia and reject Florida’s call for limiting water consumption from the Flint river. But five of the justices did not agree with his decision. In announcing the decision Wednesday, on the last day of the Supreme Court’s term before summer recess, Breyer said that if the public wishes to “learn something of the beauty and emotional appeal of this southeastern river basin,” he could recommend songs: Alan Jackson’s song “Chattahoochee” or Bing Crosby and Bob Hope performing “Apalachicola, Fla.” But he said if “you wish to learn about water rights” and “equitable apportionment of river water among states” he’d recommend reading the opinions in the case. “In the final analysis, Florida has not shown that it will appreciably benefit from a cap on Georgia’s water use,” Thomas wrote in a dissent for himself and Justices Samuel Alito, Elena Kagan and Neil Gorsuch. Huge procedural victory for the State of Florida and oystermen protecting our state from the greedy water depredations of Georgia and Atlanta developers. What's next: remedies phase before Court's Special Master.